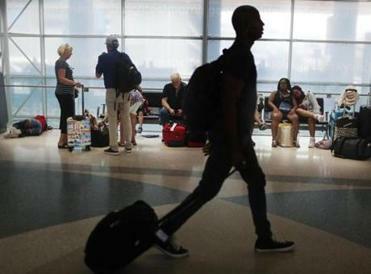 Amid a barrage of criticism from lawmakers, top Transportation Security Administration officials agreed Monday to brief Congress this week on a secret domestic surveillance program in which federal air marshals track ordinary US citizens at airports and on airplanes. The response came after the Globe reported that the TSA in March began actively conducting surveillance of people who were not suspected of a crime or were not on a terrorist watch list, but who had caught the agency’s attention because of where they had flown, among other criteria. Teams of air marshals have compiled data on the behavior of thousands of travelers under the “Quiet Skies” program, documenting whether they chatted with others, appeared sweaty or fidgety, or exhibited other actions. “I am troubled by reports that the TSA is tracking US citizens who are not suspected of any crime and then monitoring seemingly innocuous behavior such as whether a person slept on their plane, used the bathroom, or obtained a rental car,” Senator Edward J. Markey, a Massachusetts Democrat, wrote Monday in a letter to the agency that included a number of questions about the program. The Globe revealed the existence of the Quiet Skies program on Sunday, prompting complaints from lawmakers and civil liberties groups. In response, TSA officials said they have scheduled briefings later this week with the four committees that oversee the agency. Federal air marshals have begun following US citizens not suspected of a crime or on any terrorist watch list and collecting extensive information about their movements and behavior. Agency spokesman James Gregory said that TSA had previously detailed the Quiet Skies surveillance missions to the committees in May. The TSA plans to meet with the House and Senate Homeland Security Committees, as well as the Senate Commerce Committee and the House Oversight Committee. Markey serves on the Commerce Committee. Massachusetts Representative Stephen F. Lynch and Oversight Committee chair Trey Gowdy were among those also demanding answers from TSA Monday. Last week, the TSA refused to even acknowledge the existence of the program. Following the Globe report, the agency released more details about the broader initiative and confirmed that teams of air marshals began surveillance missions in March. TSA documents show there are about 40 to 50 passengers on domestic flights that fall under Quiet Skies criteria each day. On average, marshals follow and surveil about 35 of them. Gregory declined to discuss the criteria for inclusion in the program’s watch list or the recent escalation to surveillance missions. He declined to say whether Quiet Skies has intercepted any threats. All US citizens who enter the country are automatically screened for inclusion in Quiet Skies, according to agency documents. The program relies on 15 rules to screen passengers, according to an agency bulletin issued in May. 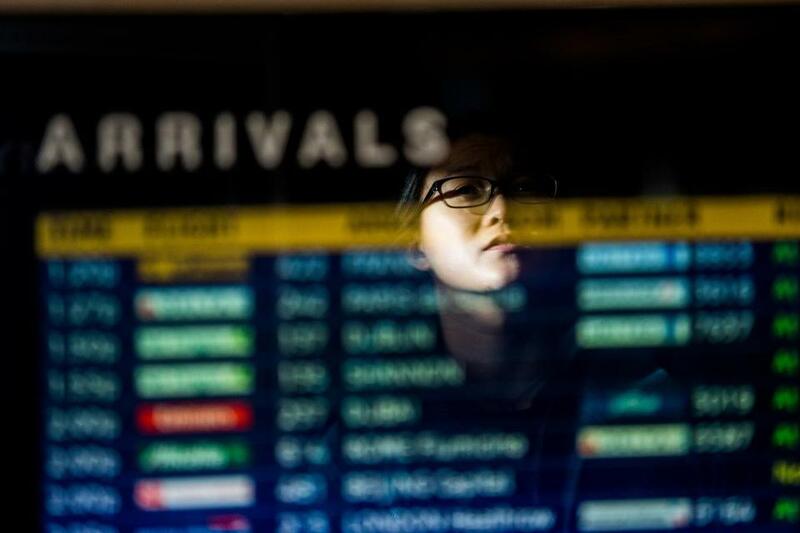 The criteria appear broad: “Rules may target” people whose travel patterns or behaviors match those of known or suspected terrorists or people “possibly affiliated” with someone on a watch list, the bulletin noted. Air marshals are directed to follow targeted passengers on subsequent domestic flights from the time they pass security, during such flights, and through the time they leave their destination airports, going so far as to document the license plate of the vehicle picking up the person, according to agency documents. Some air marshals, in interviews and internal communications shared with the Globe, have said they closely monitored travelers who posed no threat, such as a businessman, a Southwest Airlines flight attendant, and a fellow law enforcement officer. Several air marshals said they were tasked with monitoring US citizens because they had previously traveled to certain countries, such as Turkey. TSA would not say how the information on travelers is collected or stored. Documents show that the information is largely kept within TSA and not shared with partner agencies unless “significant derogatory behavior” is observed. News of the Quiet Skies program prompted a sharp response from groups concerned with civil liberties, privacy, and profiling. The Council on American-Islamic Relations called on TSA to abandon the program. “The arbitrary surveillance of innocent people at airports guarantees that Muslim passengers will be disproportionately harassed by federal officials based on racial and religious profiling, with no benefit to the traveling public or to our nation’s security,” senior litigation attorney Gadeir Abbas said in a statement. The Federal Air Marshal Service, which is part of TSA and falls under the Department of Homeland Security, has a mandate to protect airline passengers and crew against the risk of criminal and terrorist violence. Between 2,000 and 3,000 men and women, so-called flying FAMs, work the skies. TSA, which spent $800 million in 2015, has come under fire in recent years for its use of resources and deployment strategy. A 2017 Government Accountability Office report found the agency has no information about its effectiveness in deterring attacks. James Pindell of the Globe staff contributed to this report. Jana Winter can be reached at jana.winter@globe.com. Follow her on Twitter @JanaWinter. This investigation was made possible through the Spotlight Investigative Journalism Fellowship, a social impact initiative of Participant Media. For more, go to www.spotlightfellowship.com.